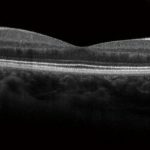 At Zacks Eye Clinic in central London we routinely perform ophthalmic imaging. 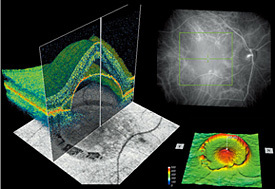 Optical coherence tomography gives a unique insight into ocular structures. Slit lamp photography and retinal fundus photography are used to record images of the eye and to monitor the appearance. Corneal topography is performed to measure the shape of the eye and visual field analysis provides detailed information on visual function. 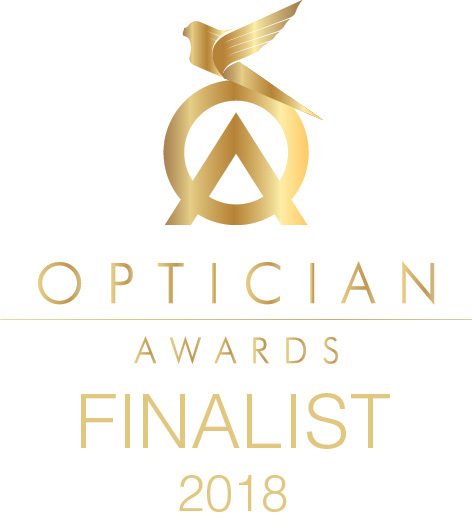 Zacks Eye Clinic have invested heavily in the latest practice technology, software, imaging equipment and dispensing technology whilst maintaining a broad appeal to all patients . Martin D Thompson, Managing Director, Nikon Optical UK Ltd.
Slitlamp Biomicrography involves photography of the structures of the eye with a specially designed horizontally mounted microscope. Illumination is provided from a beam of light which can be adjusted from a very broad pattern to a very narrow slit. This enables accurate assessments of the depth of ocular structures as well as their surfaces. The magnification of the microscope can also be varied greatly. 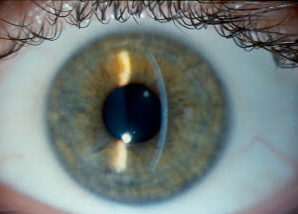 Low magnification images can be taken of the external eye and surrounding structures and on the highest magnification it is possible to see individual cells.This photo slitlamp makes it possible to isolate pathology of the cornea, iris and lens and to document and track progression over time. In medicine, the term fundus is used to describe the inner lining of a hollow organ. The ocular fundus is the inner lining of the eye made up of the retinal layers and underlying choroid. The retina is the “film” of the eye – capturing images which pass through the clear structures of the cornea and lens. 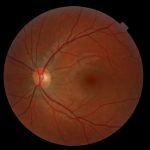 It is the only place in the body where nerve fibres and blood vessels can easily be seen making retinal images invaluable in monitoring the progression of systemic conditions such as diabetes as well as to catalogue ocular health. 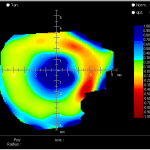 The corneal topographer produces a colour map illustrating the shape of the front surface of the eye. Each colour represents the degree of curvature at a specific point. Red corresponds with the steepest areas and blue with the flattest. Topographical information is necessary to monitor changes in corneal shape following contact lens wear, orthokeratology, refractive surgery and eye disease. 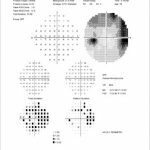 Visual field analysis is used to diagnose and monitor the progression of diseases affecting the optic nerve and visual pathway. At Zacks we use the Zeiss Humphrey Visual Field Analyser which is the industry gold standard favoured by hospitals and teaching institiutions.